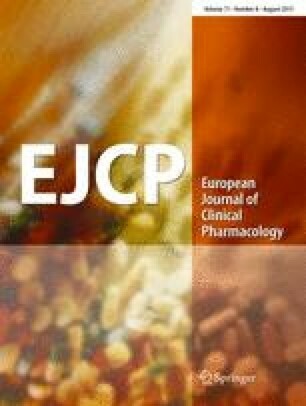 The aim of the review was to provide an overview of studies investigating the pharmacokinetics of exogenous melatonin in humans and if possible, to provide recommendations for clinical use. The review was conducted in accordance to PRISMA guidelines. A systematic literature search was performed in PubMed and Embase databases. The pharmacokinetic variables included maximal plasma/serum concentration (Cmax), time to maximal plasma/serum concentration (Tmax), elimination half-life (T1/2), area-under-the-curve plasma/serum concentrations (AUC), clearance (Cl), volume of distribution (VD), and bioavailability. The literature search identified 392 records. Twenty-two studies were included in the review. Melatonin dosages varied between 0.3 and 100 mg and were administered either orally or intravenously. Cmax ranged from 72.1 (10 ml/h; 0.02 mg, IV) to 101,163 pg/ml (100 mg, oral). Tmax ranged between 15 (2 mg) and 210 min (10 mg). T1/2 ranged from 28 (0.005 mg, IV) to 126 min (4 mg, oral), whereas AUC ranged between 5400 (0.005 mg, IV) and 6.56 × 1010 pg/ml × min (1 mg, oral). Cl ranged from 0.97 (0.005 mg, IV) to 132.50 L/min (6 mg, oral), whereas VD ranged between 35 (0.005 mg, IV) and 1602 L (4 mg, oral). Bioavailability of oral melatonin ranged from 9 to 33 %. Pharmacokinetics was affected by age, caffeine, smoking, oral contraceptives, feeding status, and fluvoxamine. Critically ill patients displayed accelerated absorption and compromised elimination. Despite methodological differences between the included studies, Tmax was approximately 50 min following oral immediate-release formulations of melatonin. T1/2 was 45 min in both administration routes. Cmax, AUC, Cl, and VD varied extensively between studies. Bioavailability of oral melatonin was approximately 15 %.